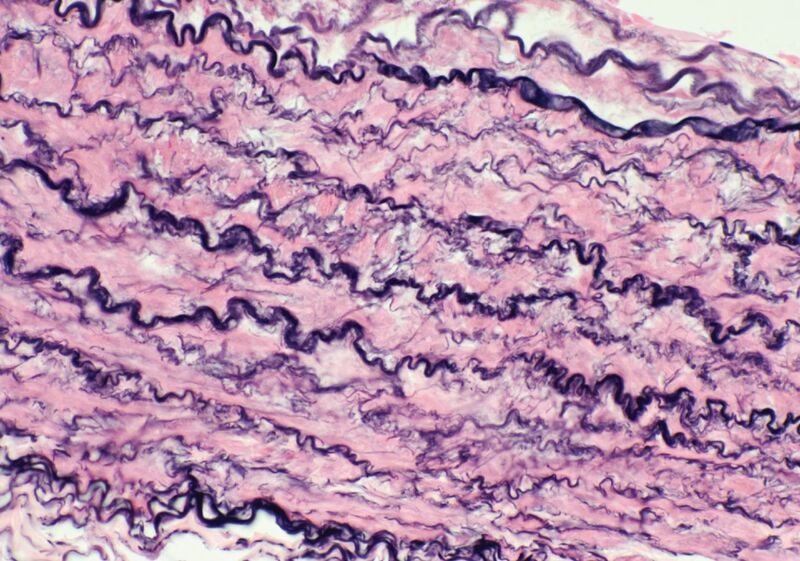 Note the elastic tissue within the artery. Human. Medium size. 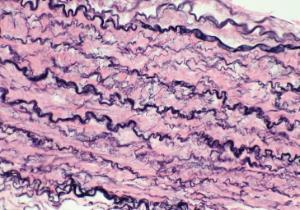 Elastic tissue stained.